The D610's FX-format CMOS image sensor yields wide dynamic range and exquisite sharpness, which NIKKOR lenses help draw out to their fullest potential. The EXPEED 3 image-processing engine effortlessly handles the sensor's large data files, while in-camera Picture Control tailors the individual look and feel of your stills and videos. These four assets are vital elements for creating the images you want. 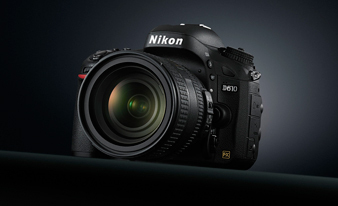 Thanks to the high-speed performance of the EXPEED 3 image-processing engine and an exclusive driving mechanism that drives the mirror independently, the D610 is capable of high-speed continuous shooting at approx. 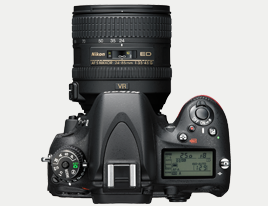 6 fps*1 in FX format, for up to 100 shots*2. 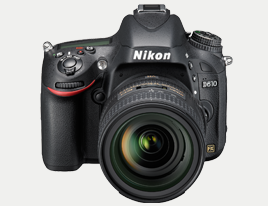 The D610's optical viewfinder features approx. 100% frame coverage that enables confirmation of the entire large image area of FX format for precise composition. And approx. 0.7x* magnification allows easy viewing of all the visual elements including the viewfinder information display. 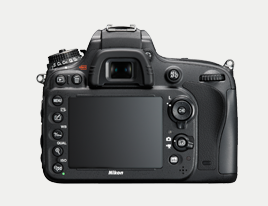 The frame coverage and magnification are the same as those of the D4 and D3 series, realizing comfortable shooting.